Tamiyaryu was founded by Tamiya Heibei Narimasa during the Tempo Era (1573-1591). It was recognised as an official martial art of Tokugawa Kishu province. Tamiyaryu has progressed through three different phases, Ancient Tamiya, Kishu Tamiya and New Tamiya. Ancient Tamiya ceased at the end of the fifth generation and became Kishu Tamiya. Documents report that, "Kishu Tamiyaryu was the authorised successor of Tamiya Okito. 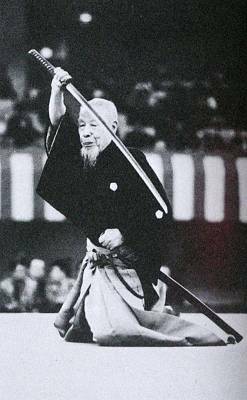 Kishu Tamiyaryu was transmitted to Saijo province (Ehime Prefecture) as Shinkenryu. Iyo Saijo province was a branch of the Kishu Family. Through generations of successors, the Kishu Family kept a close affliation with the Ryu. Since the second son of Yorisumi - the Chief Counselor to the Shogunate - Yorinori, had succceded as the heir to Lord Saijo in February 1670, Kishu Tamiyaryu prospered in Saijo. In August 1797, Tsumaki Junjiro Mototsugu inherited the school and since then the Tsumaki family have succeded through to the present, Grand Master Tsumaki Seirin.